2017 was a pretty good year for movies. Not so much for the industry as a whole, as sexual misconduct allegations tore Hollywood down (not a bad thing), but in terms of movies we landed some pretty amazing stuff. Personally, I didn't see as many movies as I usually do as the first quarter of the year was spent taking care of some health issues in my family, but eventually I did get to see everything I think I needed to (even if my indy film viewing was less than usual). As such, I am now ready to proclaim my favorite films of 2017, which in turn should be your favorite films because my opinion is always the right one. I don't choose all of these because they're the best film ever, but for varying reasons they stuck with me. Maybe they surprised me or maybe one aspect stood out above all the rest. Whatever the case these are my personal faves. Enjoy! If you're going to redefine the superhero genre might as well do it as the swan song of the man who helped usher it in. 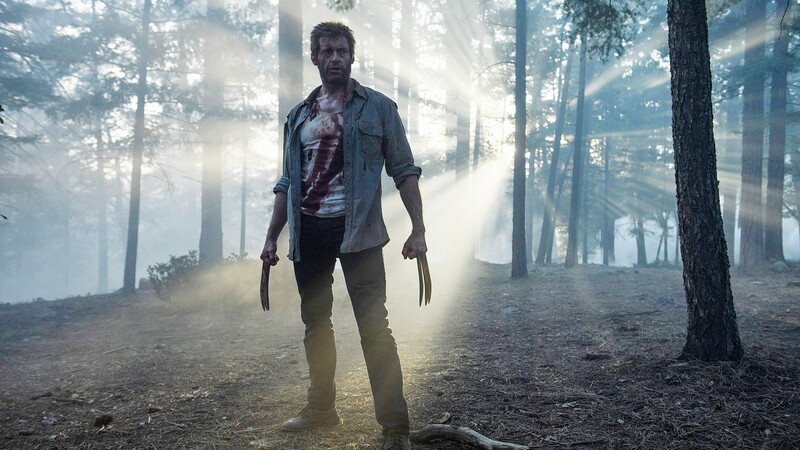 Logan is a complex, powerful and telling film about parenthood, friendship, death, and a man, who just happens to have claws coming out of his hands. The latter is the secondary part, though, and that's what all superhero films can learn from this. Logan is story first, and super powers second, and makes for a move that's bold and powerful while still being awesome. Hats off to Fox for having the balls to put this out. Hate on haters. Or actually don't. Come have a conversation with me. Some of the best "film talk" I've had this year has been around this film, and for that alone it would be one of my favorites. But it's also really good. Yes, there are faults, as Internet people like to point out, but they are far out shined by The Last Jedi's qualities, which include an amazing meta-commentary on the films themselves that almost predicts the exact reaction some fans would have to the film. When I voted for Best Movie this year in the awards I vote for this is what I nominated. 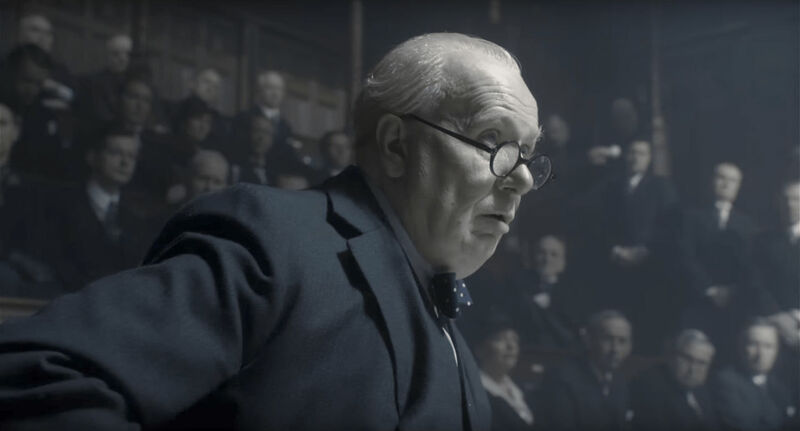 Darkest Hour is a powerfully interesting film about Winston Churchill's rise to power during WWII, and his struggle to not surrender to peace talks with Nazi Germany. It is gorgeously shot and directed by Joe Wright, who seems to be channeling the character's every emotion in every shot. Then there is the nearly unrecognizable Gary Oldman, who delivers a performance that will finally get him an Oscar. It is also the perfect compliment to the next film on this list. Dunkirk must be seen on the big screen. The awards screener I received for it came on DVD, and I actually got angry about it. This is the kind of film movie theaters were made for. The reason IMAX exists. The reason I drove 90 minutes to the only 70mm IMAX theater near me. It makes a difference. Of course it's not just stunningly beautiful, it's a war movie that plays completely differently from any war film we've seen. 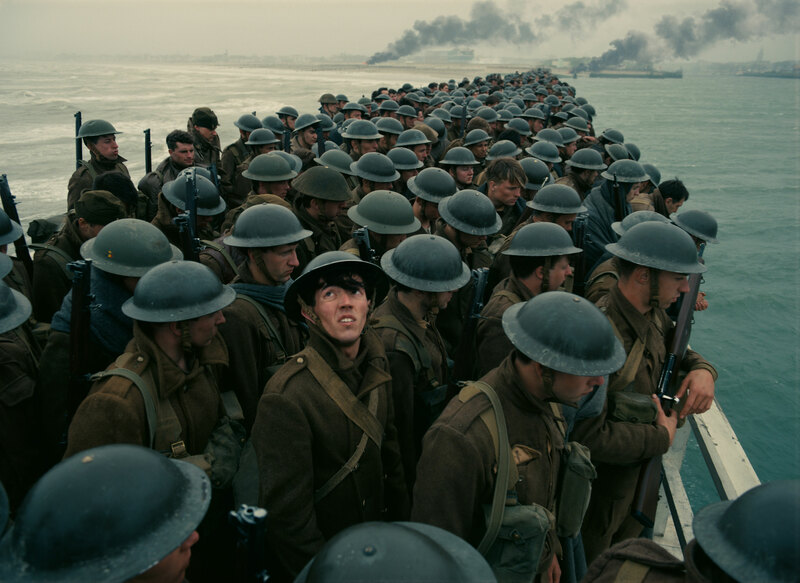 Instead of going micro to define a war by a small group of characters, Dunkirk goes macro, telling a story of a place and a time more than anything else. I'm lumping these two together because people seem to have forgotten about Dre, as the kids say... I think. I don't know any kids. The point being that these are probably the two best constructed, directed, and resonant "blockbusters" of the year and no one is talking about them. Hell, I'm lumping them together in one post. 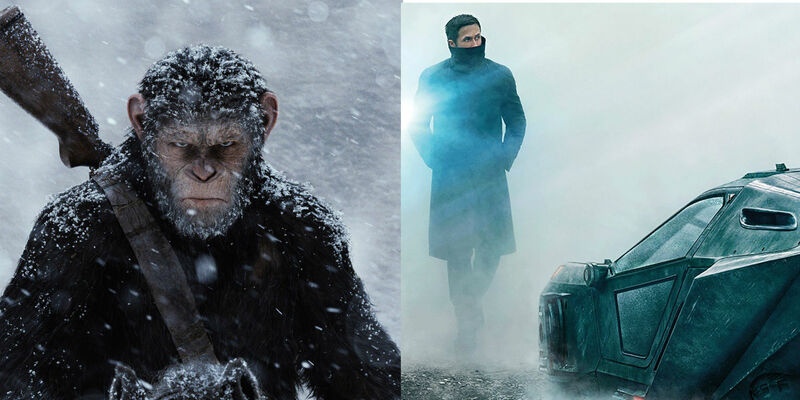 Both films lost a lot of momentum with a lackluster box office, but they're both amazing movies that do more than justice to the science fiction series they are part of. Please check them out so I'm not alone here. 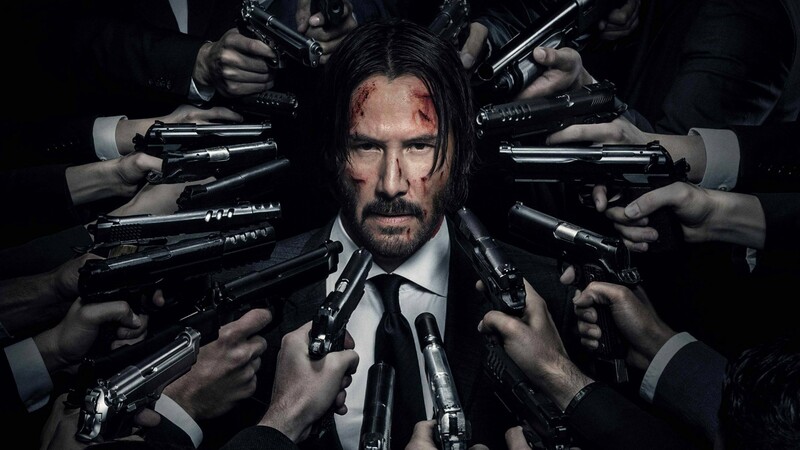 I'd have John Wick shits on a toilet for two hours on this list, and he does a hell of a lot more than that in this movie. The Founder originally had Oscar hopes in 2016, but was lost in the shuffle somehow so I'm cheating a bit here since I didn't see this one until 2017 when it released wide. It tells the story of Ray Kroc (Michael Keaton), the founder of McDonald's. Kroc discovered the tiny McDonald's brother store and basically invented fast food from there. It's complex and layered story about a man who redefined how America eats, and even if it wasn't going to win a best picture nomination, Keaton is stellar and should have gotten a lot more attention for this performance than he did. I don't think I've ever been to another film where the ending made the rest of the movie an instant classic. Split is OK on its own. It's definitely M. Knight Shyamalan's best work since Unbreakable, but that isn't saying much. Before the ending it all feels a bit cheesy and contrived. Like he's just pulling at threads. And then the end happens, and everything is cast in a new light. The entire film becomes something different and gets redefined. It literally goes from middling to classic in the span of two minutes. It's Shyamalan's best twist ending ever because it's not a twist in plot, but a literal redefining of the film you just saw. 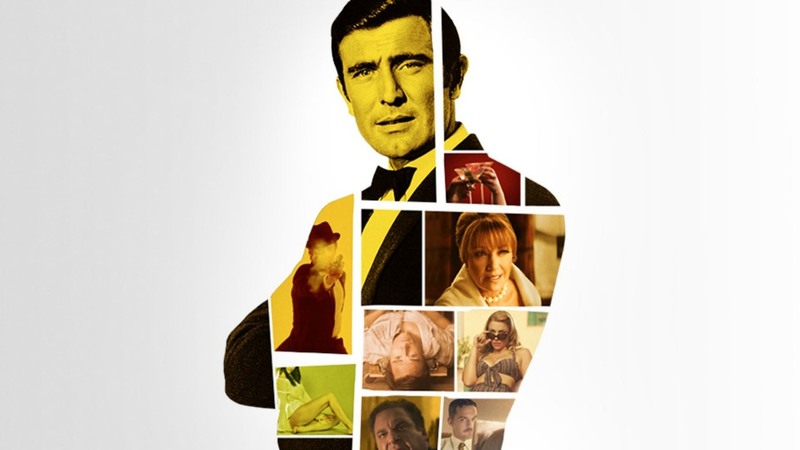 These are our personal favorites so don't expect to see this crop up on anyone else's list, but Becoming Bond is a compelling documentary about George Lazenby, the man who played Bond only once in On Her Majesty's Secret Service. It basically Lazenby sitting in a chair, center frame, telling his life story in full honest and brutal fashion. Interspersed between him talking are vignettes of his life played out as he narrates. It is comical, sad, and fascinating and heartbreaking all at the same time. Lazenby is surprisingly honest about his regret over not continuing to play Bond, but more importantly over the lost love of his life. Even if you're not a Bond fan I'd recommend this as it's both a charming and intriguing story told in full honesty by the man who lived it. 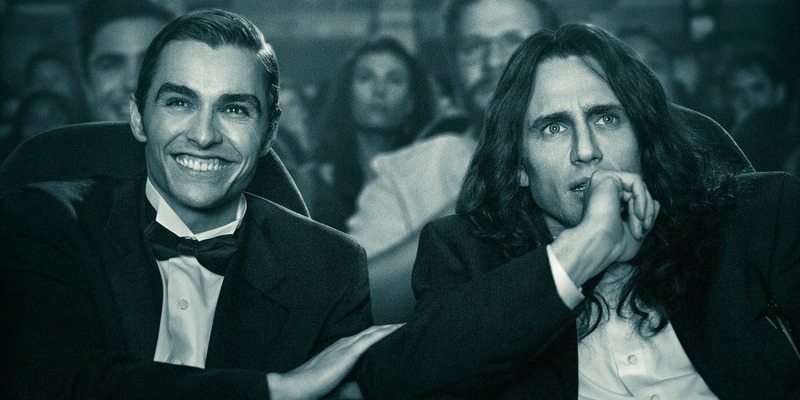 I would recommend seeing The Room itself (drunk and with friends) before seeing The Disaster Artist, but even if you don't you're in for one hell of a ride. The film, which should have been a dumb comedy, turns into one of the better movies about friendship in years. Sure, that friendship is the weirdest thing ever and kind of creepy all around, but, man, does this film just work... which is a little ironic considering it is based on a film renowned for not working at all.